Today I've got a throwback polish to share with you from when my obsession with nail polish really started to get serious. 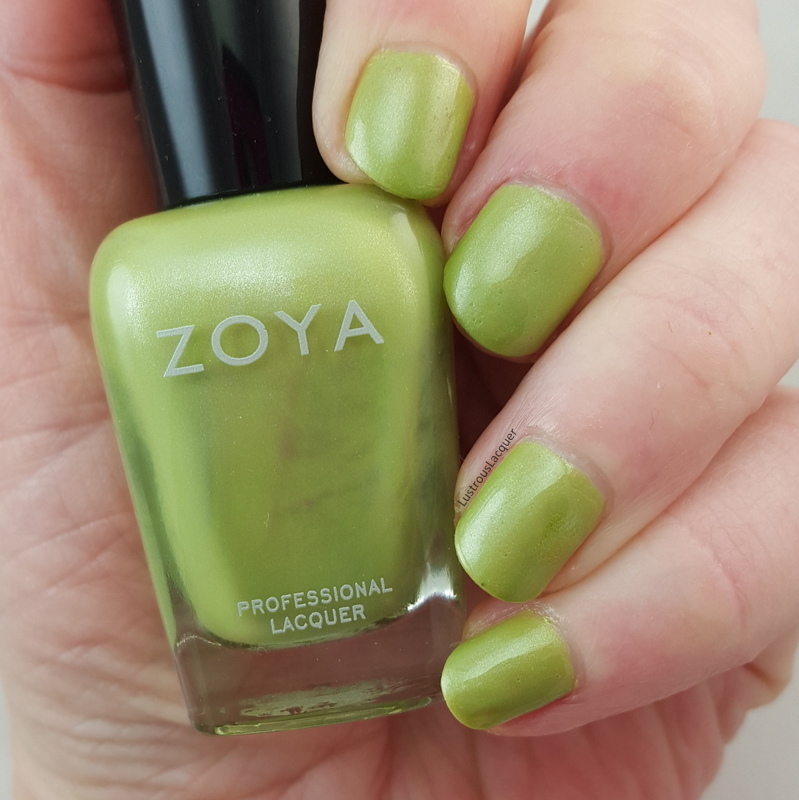 Zoya released the Beach collection in the summer of 2012 at the height of my polish purchasing frenzy. I bought up nail polish faster than it could dry on my fingers and sadly I have almost 2 helmers full of untrieds because of it. Just take a look at my Collection page and you'll see a long list without too many links to blog posts. while I'm still making a few polish purchases here and there I've decided it's time to really make a dent in my collection and give a little love to all those pretty untrieds. 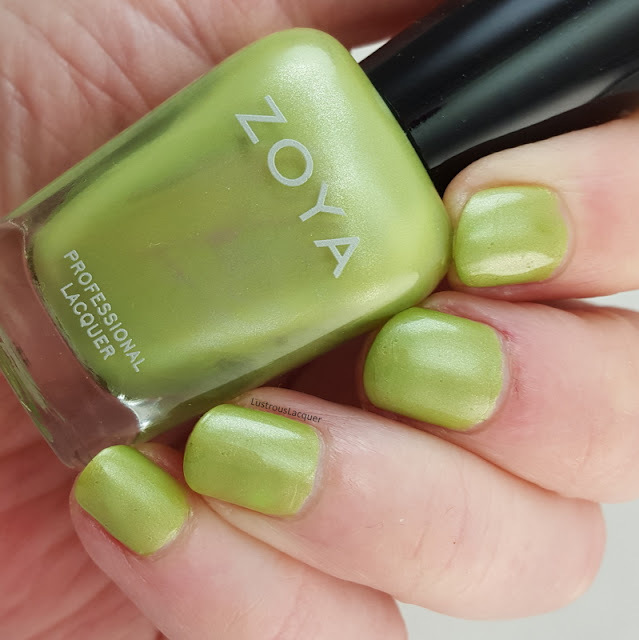 That where today's polish fits in, Zoya Tracie is one of those nail polishes that has been sitting unloved in my helmer and now it get's it's turn in the spotlight. 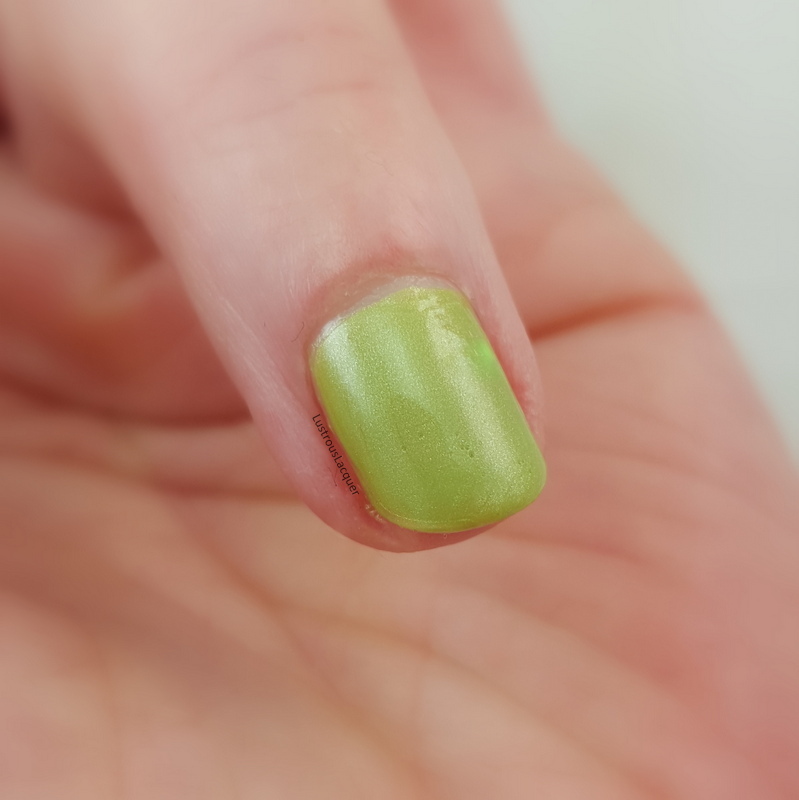 Tracie is a yellow-toned pistachio green polish with very subtle silver shimmer. This color actually reminds me of a granny smith apple. Anyone else see it? Shown here is 2 coats plus top coat. The application process for me was ok with the first coat applying sheer and streaky. Everything evened out nicely on the second coat for a smooth finish. My overall thoughts are that this is a nice polish and I can see it working out well in some nail art or mixed in for a skittles manicure. But it's not the best color on my and I probably will not wear it again on its own. Thanks for stopping by and Happy Polishing!